To listen to this episode of Shtetl on the Shortwave please scroll down and press on the play icon below. Enjoy! 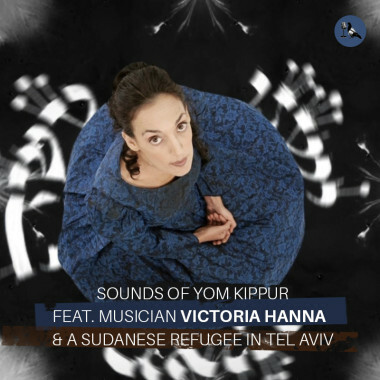 Listen to the sounds of Yom Kippur with the unique singer and performer Victoria Hanna in Jerusalem. Sit with Sudanese refugee Anwar Suliman in a park in Tel Aviv and hear about his experience as an asylum seeker in Israel. 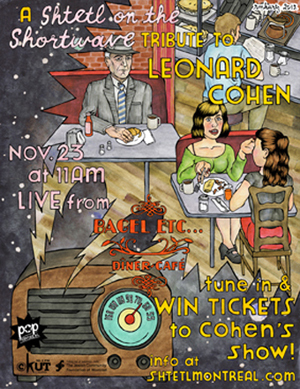 And, of course, lots of great music to get you in the Jewish New Year/atonement mood. (Music in this episode: Lederhosen Lucil: the Shtetl theme song, Victoria Hanna, Raggabund, and Johnny Mathis: the Kol Nidre). Shana Tova. A sweet sweet year full of courage, beauty and a shitload of Jewish arts and culture podcasts! This entry was posted in Shortwave and tagged High Holidays, Israel, Jerusalem, music, Palestine, refugees, Sudan, Tel-Aviv, Victoria Hanna, yom kippur. Bookmark the permalink. I really enjoyed your guests. I always learn so much about life in Israel from your Middle East shows. keep em’ coming! So interesting for us Canadians over here.